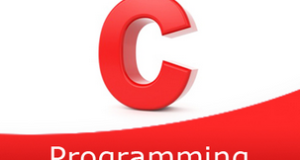 C Program to find the volume of a cone – In this distinct article, we will brief in on all the ways to find the volume of a cone using C programming. We have added suitable examples and sample programs to the blog post as well. The compiler has been added for an easy understanding of the whole setup. As we all know, a cone is a three-dimensional figure. It is an important figure in use in our daily lives. A cone has a circular base and tapers off into a single point. 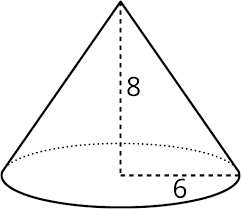 As you can see, this is a cone with a radius of 6 units and a height of 8 units. Volume = 1/3 * 22/7 * 6^2 * 8 = 301.59 sq. units. 1)We are using the standard formula for calculating the volume of the cone. Here, we need radius and height of the cone. 2)The values of radius and height will store into the variables “radius” and “height”, these values substitute into the formula we will get the volume of a cone, that value will store into variable “volume”. 1)Here volume(r,h)is calling function,and volume(float r,float h) is called function. 2)We are calling the function using volume(r,h). 3)The called function volume(float r,float h) calculate the volume and returns the value, that value will store into variable “v”. 2)We are calling the function using volume(&r,&h,&v) by passing addresses as arguments. 3)The called function volume(float *r,float *h,float *v) will calculate the volume ,that volume value will store into pointer variable v.